Secretary of State Mike Pompeo announced that the US will cut the number of refugees it would accept next year. The slash will mark the second straight year the country is doing so, making a total departure from the previous trend set by the administration of former President Barack Obama. The country will only accept up to 30,000 refugees next year, down 15,000 from the 45,000 caps this year. The figure will mark the lowest ceiling on refugee admissions since the program was introduced in 1980. 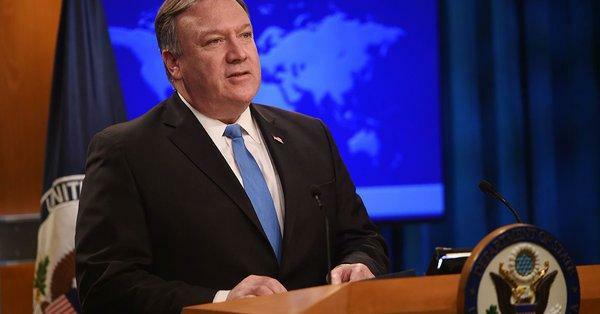 Pompeo’s announcement was predictably met with criticisms from human rights groups, who claim that this year’s 45,000 ceiling is already too low as it is. The Secretary of State, however, insisted that the U.S. is still committed to providing sanctuary to people fleeing from danger zones across the world. The new policy would mean that the 30,000 cap is the maximum number of refugees the country will accept for the new fiscal year set to start on October 1. The actual number could still be lower, as seen in the case this year. State Department records say the country has only admitted 20,918 refugees for this fiscal year scheduled to end in two weeks. Obama previously raised the ceiling to 110,000 in 2017. In his last full year as President, the U.S. welcomed around 85,000 refugees. President Trump has made limiting immigration a centerpiece of his administration’s agenda, consistent with his campaign promise. In today’s environment 300 or better yet 30 per year to offset Obummers floods!